There will be a total of 200 instant winners. 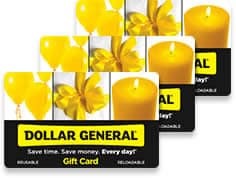 Even if you don’t win, you’ll still be entered for a trip for 2 to a Dierks Bentley concert in 2013 or Chicago, IL for the NASCAR Nationwide Series “Dollar General 300.” You can enter daily through July 21st. Good luck! 100 winners: A $50 gift card that may be used to purchase gas.